To put it very basically and for those of you who don’t know, telemetry is the collecting of data to find out how people use their devices. Microsoft uses Windows 10 telemetry to make decisions about their products. This has become even more important since Microsoft has moved towards Windows as a Service. But how can we control what we send Microsoft and what does this mean for users in the future? 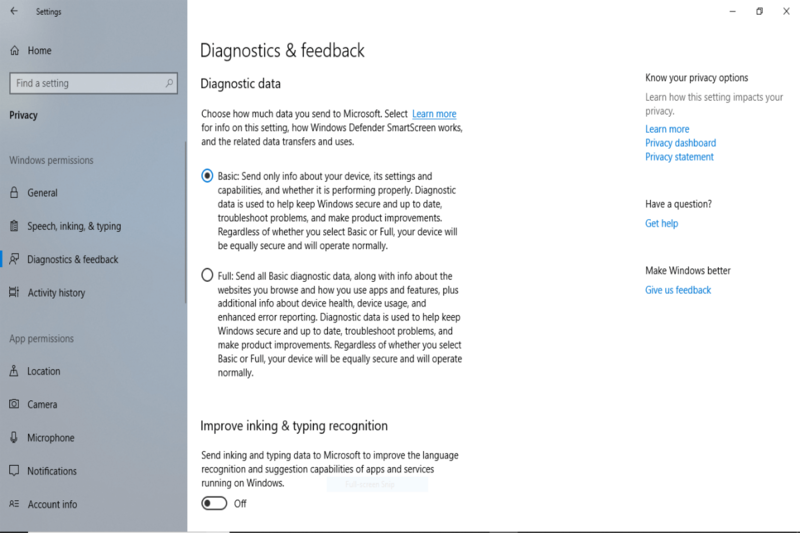 If you open Settings > Privacy > Diagnostics and feedback, you will see what you are sending Microsoft. You have a choice of ‘Basic’ or ‘Full’. You cannot set it to sending no data. I’m not sure how everyone feels about that, but we will have to leave a discussion on the merits of Microsoft forcing users to send data for a later date. As you can see from the image below, I have set my computer to only send the basic information to Microsoft. Recently, the German government released an extremely detailed report on how Microsoft is collecting your data and it makes for some interesting reading. You can find the report here. Please note, it is not all in English. If your German isn’t great, the Executive Summary (in English) starts on page 9. The report is very technical in nature, so there is no point in me trying to go through it all here. However, there are some parts that are worth mentioning. There is a section on ‘Event Tracing for Windows (ETW)’ which has four different levels, as opposed to the two you see in the image above. What sounds a bit ‘Big Brother-ish’ about the ETWs is that they are associated with ‘Autologger-Diagtrack-Listener’ and ‘Diagtrack Listener’. I think the computer industry might win more people over if they think about renaming things like ‘Autologger-Diagtrack-Listener’ and ‘Diagtrack Listener’ to sound friendlier. But I digress. The two extra, ‘Security‘ and ‘Enhanced’, are for Windows 10 Enterprise editions, which is why most of you will not see them in your ‘Diagnostics and feedback’ settings. What is equally interesting about this report is it comes close on the heels of the report from the Dutch accusing Microsoft of breaching new GDPR regulations. I’m not suggesting for a moment that Microsoft has been caught with its hand in the cookie jar, of course, but it certainly appears that the amount of work being done to check on the data-collecting activities of Microsoft (and other tech companies), is getting more exposure. It would certainly seem that governments, and their agencies, will not stop expending so much effort (to find out what tech companies are really doing), until there is a lot more trust all round. What do you think? Do you trust what data Microsoft is collecting from you? 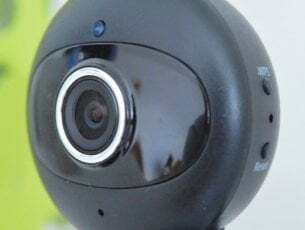 Do you think that it is right that Microsoft can collect data without your permission? Let us know in the comments below.